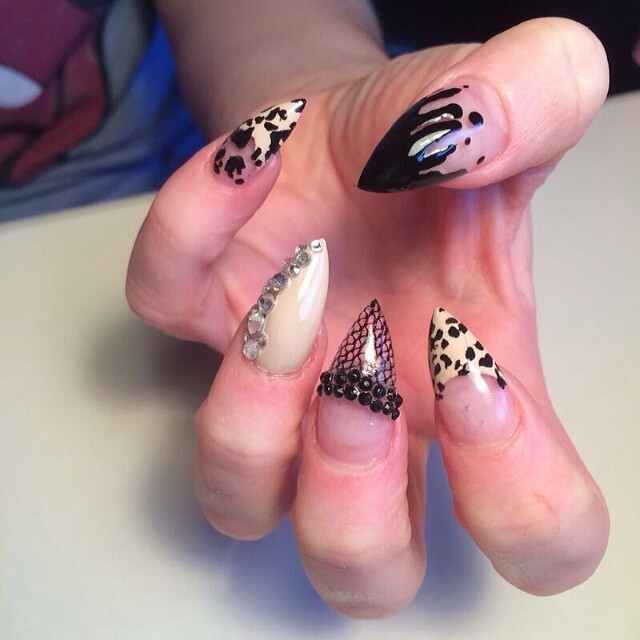 Nail art is a rage these days and there are several designs to choose from. 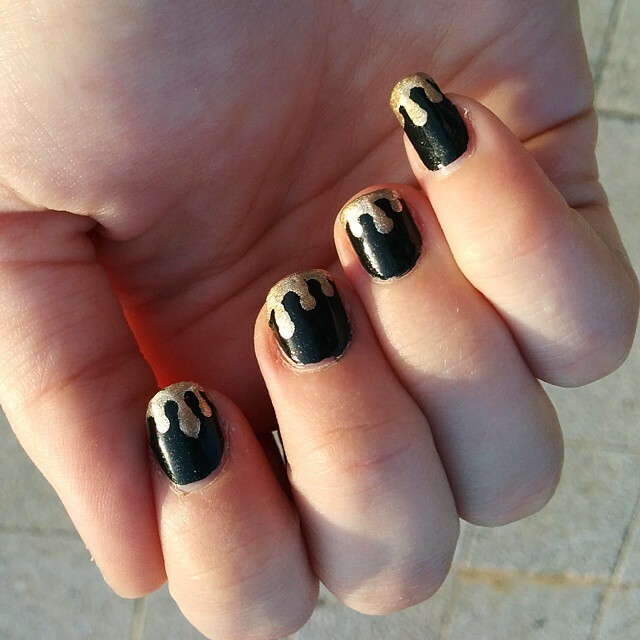 One of the most popular designs is the drip nail art. The basic principle of this nail art design is to use a base nail polish color and the created the drip effect using contrasting colors. You can use one base color for all the nails and another color for the drip effect or you can play with multiple color combinations. It is also a good idea to try special effects and create metallic nail art or a watercolor nail art. But if you would rather stay with the simple nail art design regular polish colors would suffice. 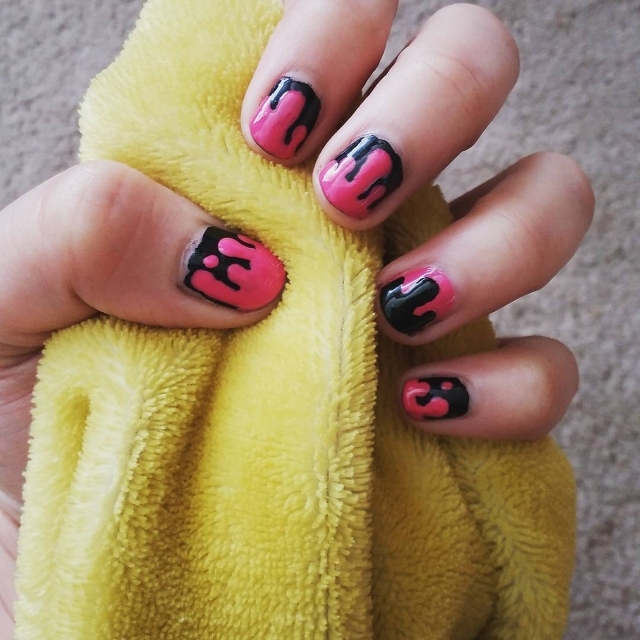 One of the simplest dripping nail art design is to use a white or colorless base coating and then use neon colored polish for the dripping effect. 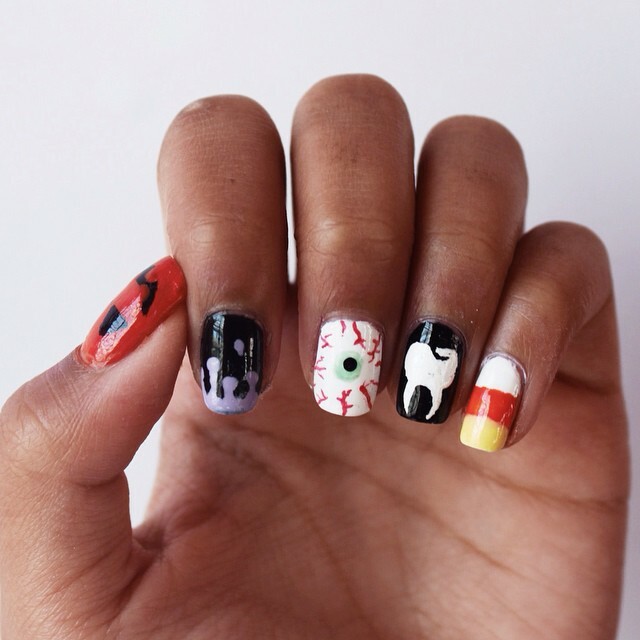 These nail art ideas, for instance, is a good choice for the teens who are not much into flashy designs. 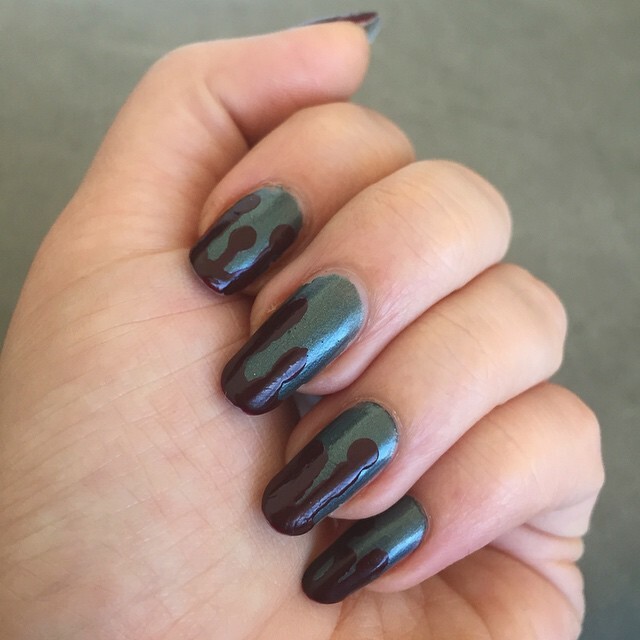 You can create a nail art metal look by using a nail polish color with metal shade. 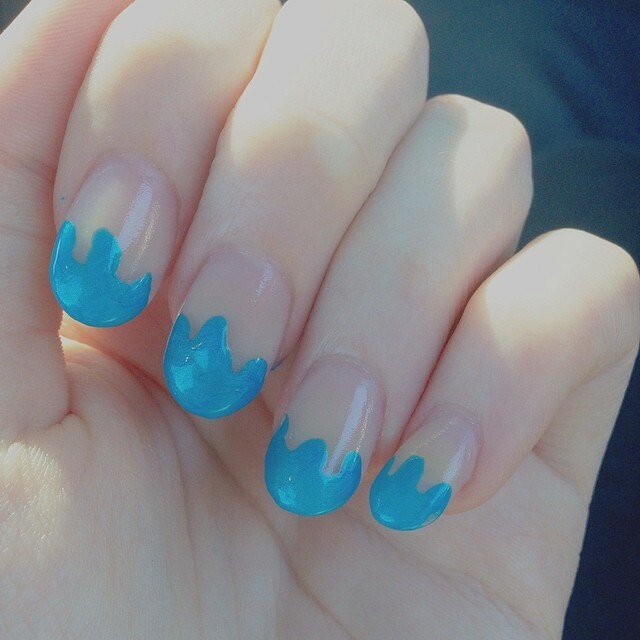 This drip art nail idea, for example, made use of polish in blue-gray-green combination shade. The dark/chocolate brown polish used for the dripping effect completed the look. 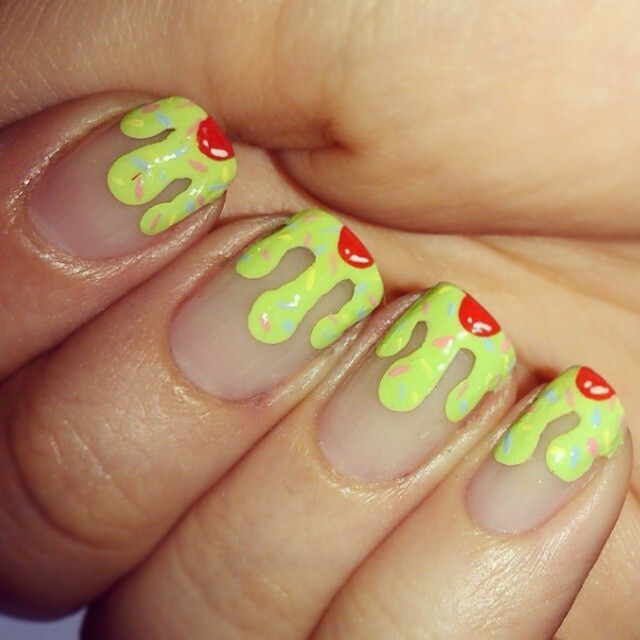 Cartoon nail art with dripping effects is a perfect combination for a Christmas nail art design. 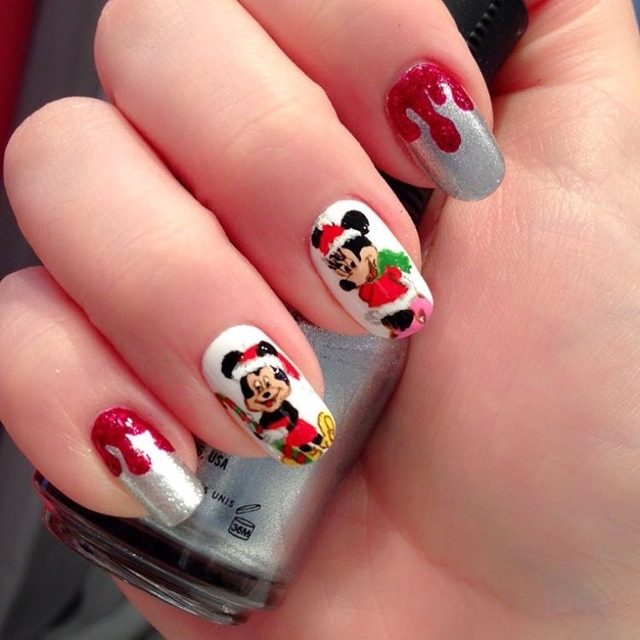 Cartoon nail decoration (Mickey Mouse and Mini Mouse in Christmas costumes for this example) in white polish base is an ideal main design with red dripping polish over silver/gray base polish, makes this nail art design really cute and amazing. This nail art design is cute, colorful and sweet. 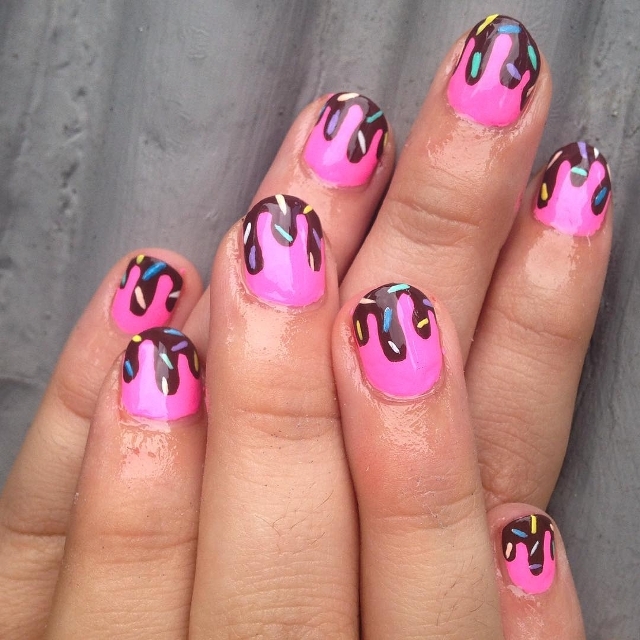 The chocolate dripping effect over pink base polish makes the design really cute. The colorful dashes look like candy sprinkles making the final effect really candilicious. 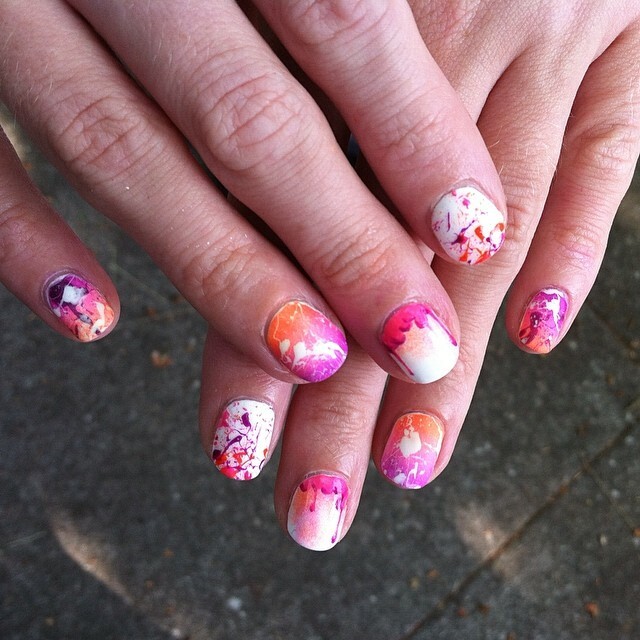 If you like variety and colorful abstract designs, this combination of nail art ideas should be something you may want to try. The different designs (tooth on black, eye on white, stripes, and dripping effect) used for each nail makes the set look like a sampler. 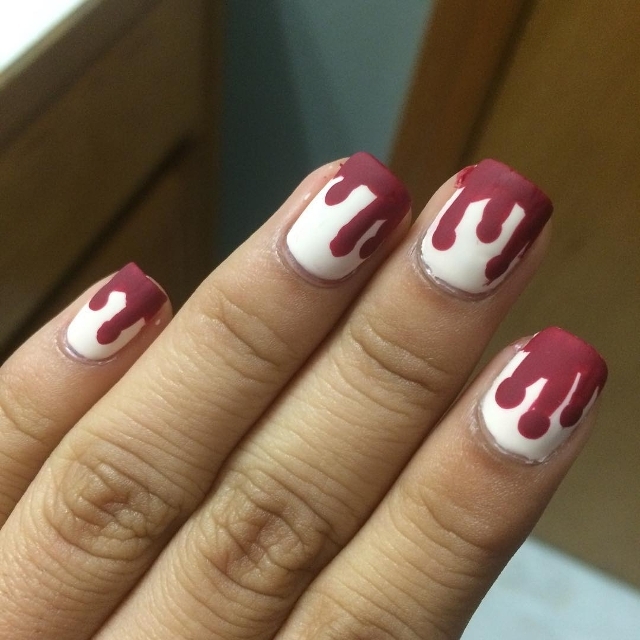 The concept for this nail art example is to create a blood dripping effect over white base polish. The main idea has been expressed, though a bloodier red polish should have been used. 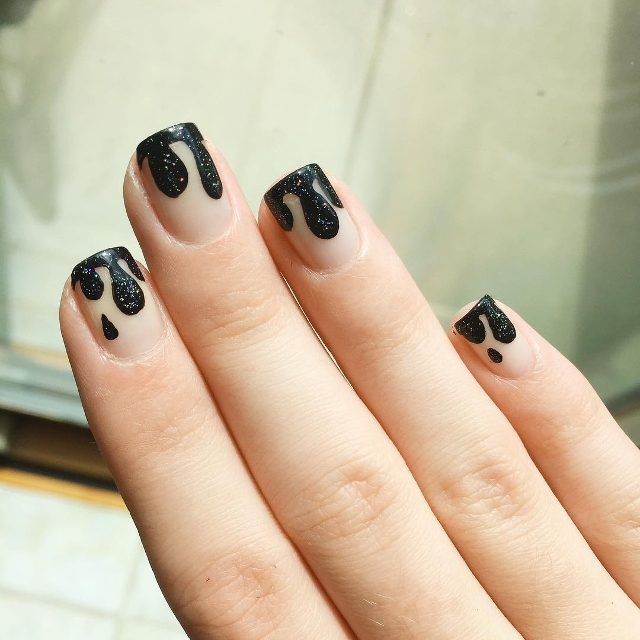 This nail art design made use of black matte and shiny black nail polish. 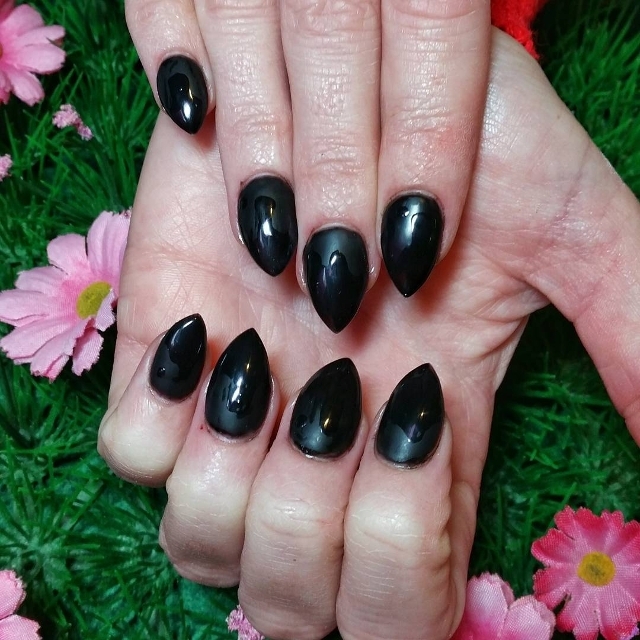 The matte is used for the based, making the shiny black dripping effects look like bubbles dripping. 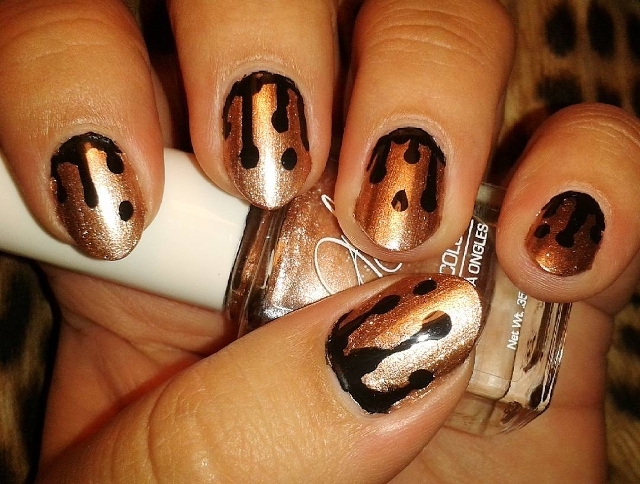 This splatter drip nail art design should appeal to people who likes randomness in their design ideas. The white base color allows for easy experimentation with designs – splatters and dripping effects. Colorful nail art designs can be expressed in different ways and concepts. This design, for example, makes use of different colors for the dripping effect. 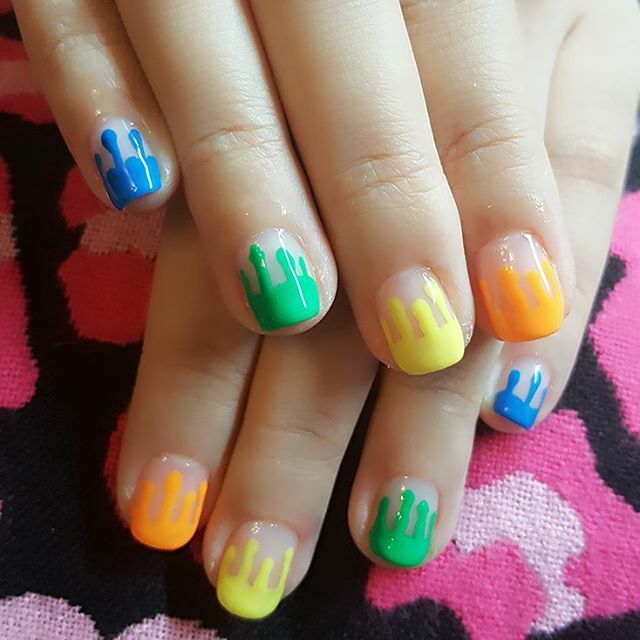 The result is a sort of rainbow drip nail art design. 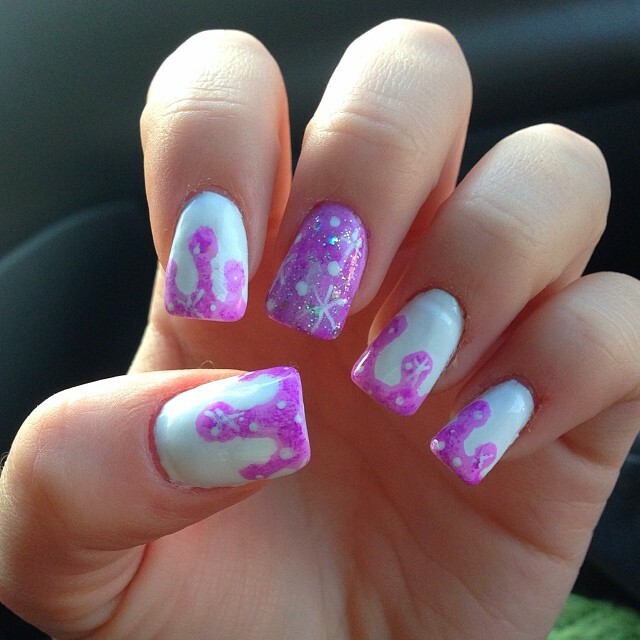 This drip nail art design focused more on the heavy dripping flow, which makes the white polish perfect as a base color. The hot pink polish for the dripping effects is enhanced by the golden accents. 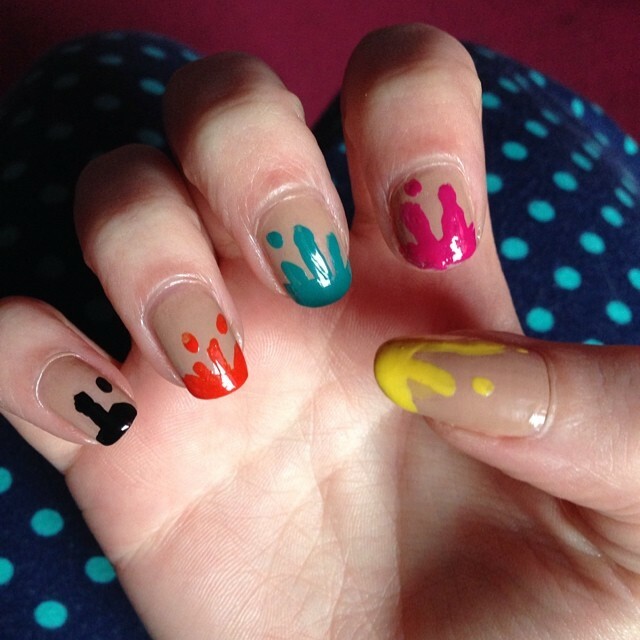 When creating drip nail art design, it would be wise to see which colors go well together. Experimentation with different shades and textures is also recommended. 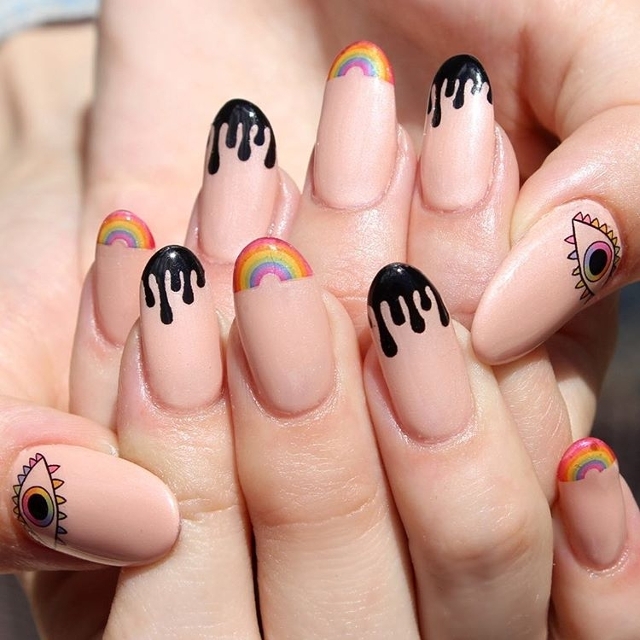 If you like multi-colored designs, your best bet would be rainbow nail art design. If you like using basic colors, you can just choose one base color and a contrasting color for the dripping effects.